Nepal’s Chitwan National Park is a royal hunting ground turned wildlife sanctuary. In this pristine forest landscape, filmmakers go out in search of the almost mythical greater one-horned rhino. This semi-aquatic beast, also known as the ‘unicorn’ rhino, is one of the rarest rhino species in the world. No word on whether they’ve ever tried luring it out with young maidens. There is an ox [or “quadruped”] of the shape of a stag, between whose ears a horn rises from the middle of the forehead, higher and straighter than those horns which are known to us. From the top of this, branches, like palms, stretch out a considerable distance. The shape of the female and of the male is the, same; the appearance and the size of the horns is the same. 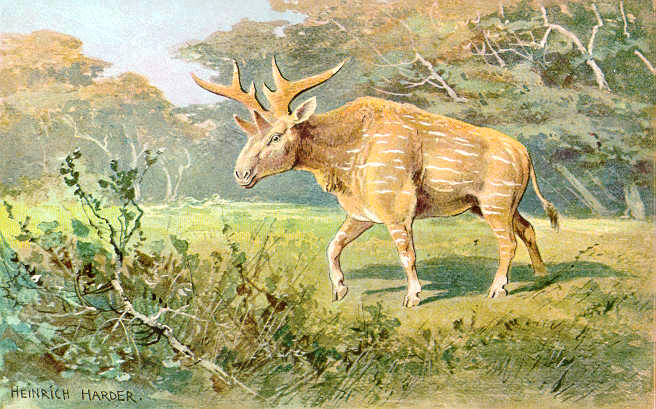 Karl Shuker wonders if the creature described is a mutant deer. Beachcombing suggests it may have been a reindeer, perhaps either in profile or after one of its horns had fallen off. (They do that, you know.) 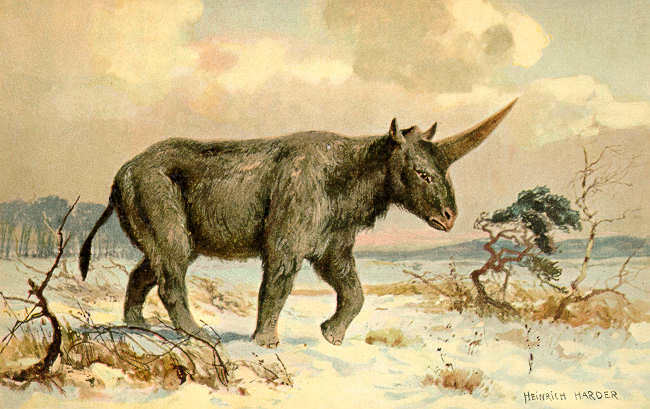 Either way, the Hercynian unicorn is an intriguing ancient cryptid. 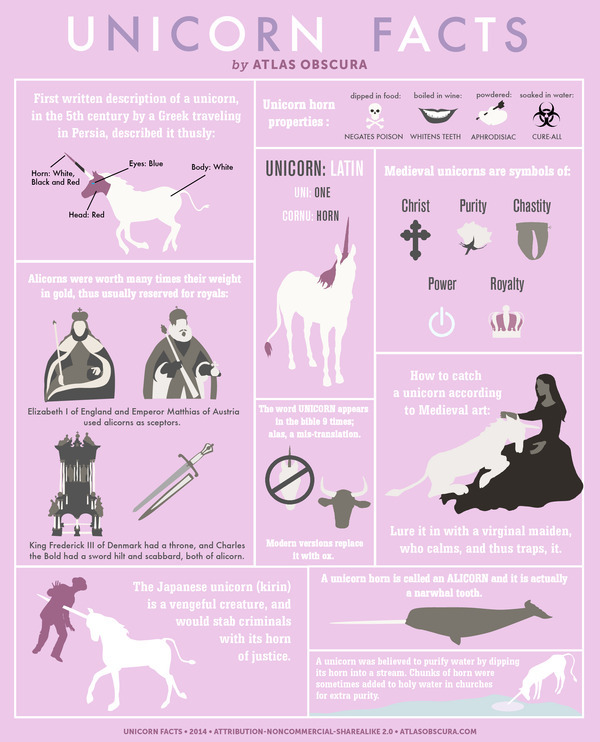 There used to be actual unicorns in the world, but scientists call them elasmotheres. What’s so fascinating about this book, written by paleontologist Darren Naish, and artists John Conway and C.M. Kosemen, is that it respects both the legends behind these monsters and the science that debunks them. It’s a complicated merger between speculative fiction and scientific analysis, which the group also showcased in their previous collaboration, All Yesterdays.In that book, the group explored new directions in how to depict ancient animals, with often mind-blowing results. 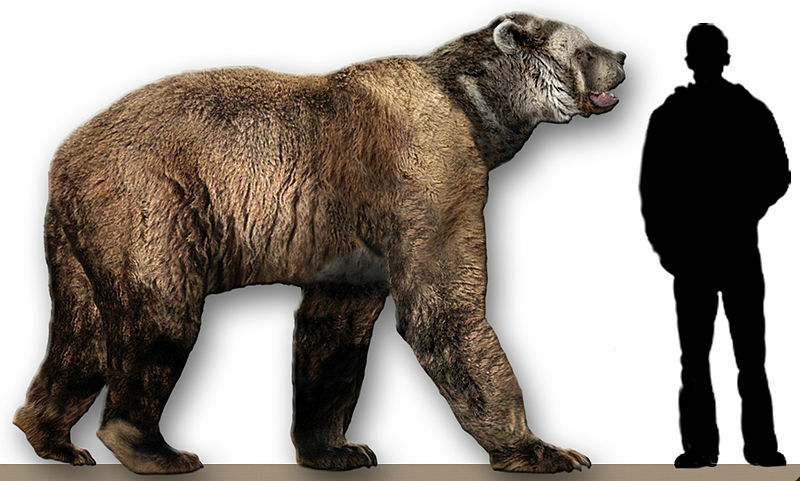 WithCryptozoologicon, they are trying something more speculative still. 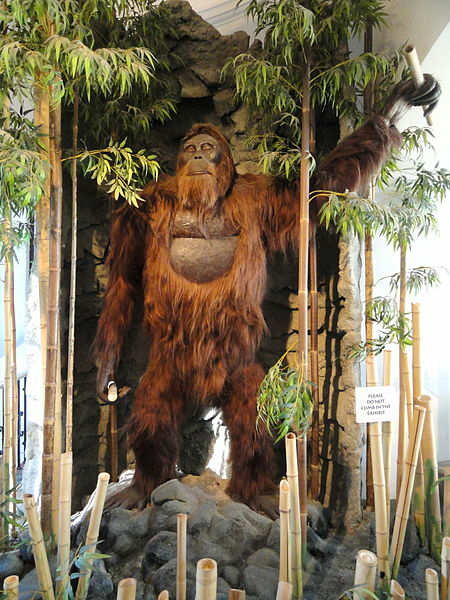 They’ve put together an extensive collection of cryptids from around the world, drawn them in gorgeous panels, and provided both a scientific debunkery as well as an enthusiastic, fictional endorsement of the creature’s existence. Each entry contains three sections: (1) the accounts of the creature that others have given, (2) an evaluation of those accounts, and (3) a speculative description of what that creature might be, if in fact it existed (and apparently their assessments of this range from “no way” to “well, maybe”). Clearly, the Chupacabra is a semi-bipedal, nocturnal, predatory marsupial, the likes of which is unknown to science. 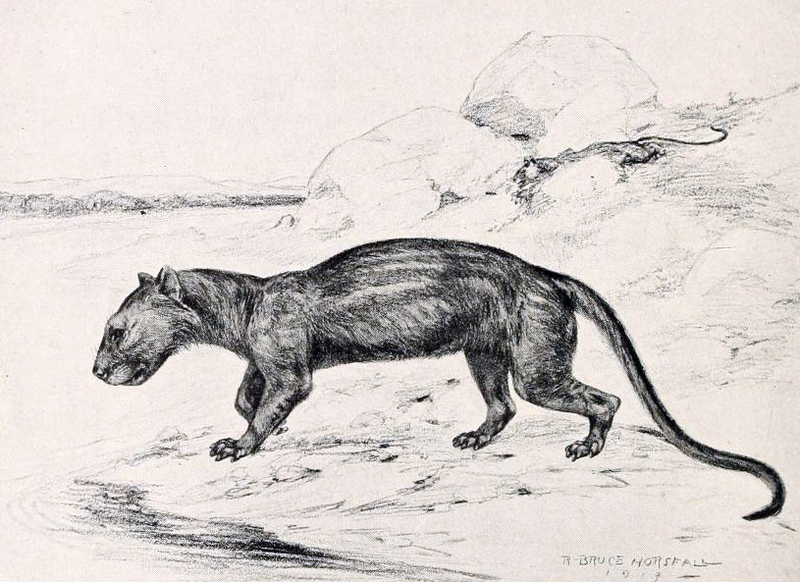 Equipped with a long, robust tail, forelimbs proportioned something like those of a primate, and an ability to leap and climb, this sharp-toothed predator (which we name Deinoroo caprophagus) is convergently similar to the Australasian macropods in some respects but is actually a very large opossum. Indeed, the formidable dentition, strong jaws and enlarged upper canines of opossums required little evolutionary modification to produce a large-bodied predator. This whole project sound a lot like what I have attempted to do with the various eldritch races in Into the Wonder as well as my (as yet unpublished) musings about how Jersey devils, Ozark howlers, unicorns, and other creatures of myth might work from an evolutionary/paleontological perspective.